I love weddings! They're a wonderful opportunity to celebrate & create beautiful designs to help make each couple’s big day extra special & personalized. The 2017 wedding collection features stationery suites inspired by the forms & wonders found in nature. 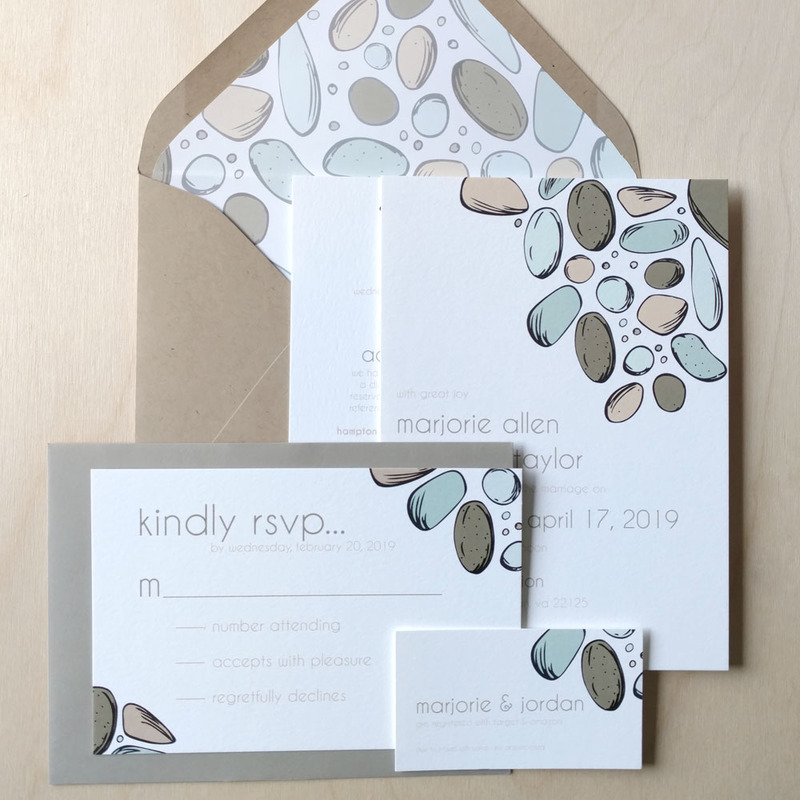 Although drawing from nature is traditional, colorful, hand drawn illustrations & coordinating typefaces add the perfect amount of whimsy to make these suites stand out in the sea of “traditional” designs. To get started on invitations & stationery for your special day, tell me about yourself & your sweet fiancé here. Stars have always been important in storytelling, especially when looking toward the future. The Stars Align suite is elegant with a whimsical flare that will make you believe in happily ever after. Looking for something truly one of a kind? Completely custom wedding suites are also available to perfectly match your wedding. Work one on one with me to bring your vision to life. For more information, click the link below or email me directly at hello@meeklyyours.com. Tell me about You & let’s make your wedding the best day ever!